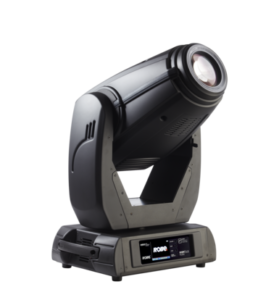 After much demand from our customers across the country, we have now added the ROBE DL4S to our hire stock. Available at both Dunstable & London locations, the 48W RGBW LED fixture comes with all the bells and whistles that are required on many applications. As with the DL4X, a zoom range of 10° to 45°, a rotating gobo wheel, & an animation wheel comes as standard. However the DL4S boasts of 4 fast, smooth framing shutters within the optical path; individually control each shutter blade position & angle together with rotation of the complete framing module.